Homes for sale at auction in Scotland are marketed by agents such as, Future Property Auctions, Auction House Scotland, and The Glasgow Property Agency but it is a type of purchase that people might know less about than the usual property buying process. Most properties can be sold at auction, but there are some types that are more likely to be put to auction, rather than through more traditional methods. For those of us who have watched Homes Under the Hammer, it’s clear that there is a buzz and excitement about buying property this way and there are certainly advantages. However, if you’re not familiar with the auction process, it can seem daunting and it’s best to do your research beforehand. Auctions take place across the country regularly but you do not always have to be physically present on the day. 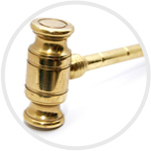 You can bid over the phone or pay your solicitor to bid on your behalf. In some cases you may be able to bid online. The methods available to you will vary depending on the agent handling the sales auction so it is best to contact them directly. This is a good idea anyway, especially if you have never been to auction before. The agent will be able to offer advice on the process and what you should do – and allay your fears that you might accidentally sneeze and make a purchase! It’s also a good idea to go along and just observe the first time to get a feel for how it works. Search auction properties at s1homes.com to find your next potential property. This entry was posted on Monday, October 26th, 2015 at 9:13 am and is filed under Advice, Buying, Property advice. You can follow any responses to this entry through the RSS 2.0 feed. You can leave a response, or trackback from your own site.